Located just north of Tunis, the capital of Tunisia, is the town of Sidi Bou Said. The entire town is located on top of a steep cliff, which overlooks the Mediterranean Sea. The view from Sidi Bou Said is absolutely phenomenal. The entire town is simply beautiful, with flowers draped from almost every wall and doorway, and beautiful flowing vines hanging throughout the entire area. 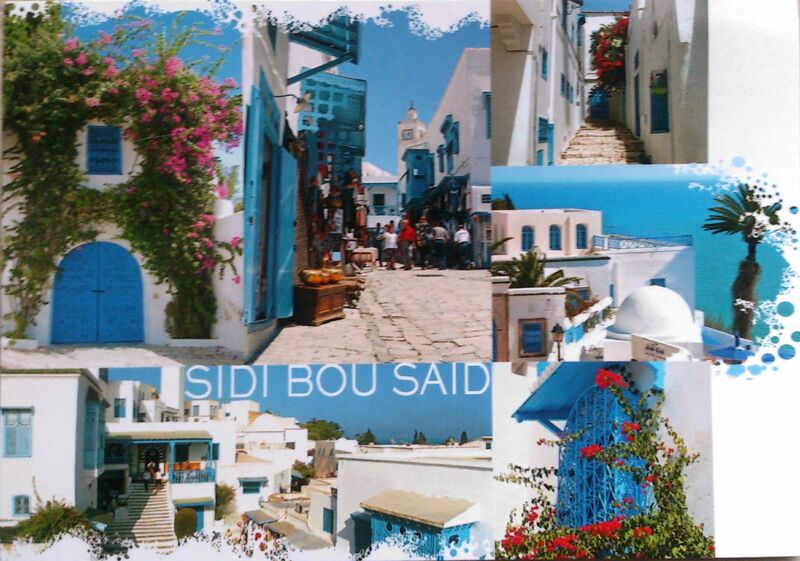 Sidi Bou Said is so beautiful, in fact, that many artists have taken up residence here.The town is also said to have inspired famous artist Paul Klee, and famous writer Andre Gide.